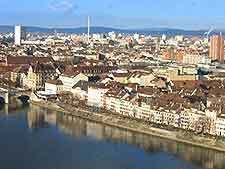 Although there are plenty of hotels all around Basel, the city can be extremely busy at times, particularly when major trade fairs and conventions are taking place. Accommodation is especially scarce during the Basel Fasnacht in late January and the enormous Baselworld Watch and Jewellery Show in early April. Also worth noting, if you are planning to stay in Basel at the beginning of June, be aware that this is another busy time for hotels and lodging, since the Art 39 Basel international art show is taking place and regularly attracts almost 55,000 art collections from around the world. As you would expect, during the most hectic times, hotels in Basel take full advantage of the demand and hike their prices, although since there are no trade fairs during the summer months of July and August, accommodation at this time of the year tends to offer the best value. 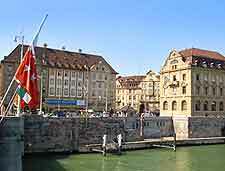 Most hotels in Basel are never too far away from the city centre and its many attractions. A number lie along the banks of the River Rhine, such as the Hotel Krafft am Rhein along the Rheingasse and the Les Trois Rois on the Blumentain, next to the Mittlerebrücke bridge. 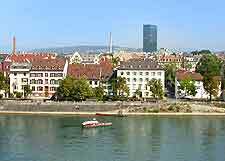 The highest concentration of accommodation is to be found on the south-western side of Basel, around the Barfüsserplatz, the Leonhardsgraben and the Steinengraben. 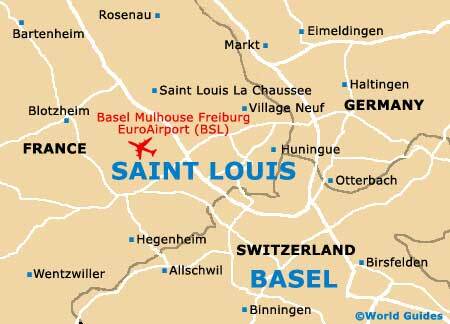 Further south is Basel's train station and a reasonable choice of lodging is just a short walk away. One of the most stylish and upscale hotels close to the station is the Hilton Basel Hotel on the Aeschengraben, next to the Centralbahn Platz, which opened in the mid-1990s and contains more than 200 guest rooms. Directly north-east, the SYHA Hostel boasts some of the city's cheapest accommodation and is close to the St. Alban Rheinwag, featuring both dormitory beds and smaller, private rooms.